Finley is using Smore newsletters to spread the word online. Capella, a red giant, is a white star reaching a temperature of 4940K. Capella is fairly close to Earth, only 42.8 lightyears away. It has a luminosity of 78.5, the brightest star in the constellation Auriga. Capella has a mass of 2.69, and a radius of 12.2. Because of its size, Capella is able to fuse Helium into Carbon and Oxygen. 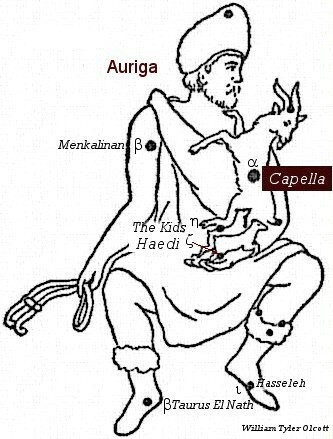 Capella is part of the constellation, Auriga. 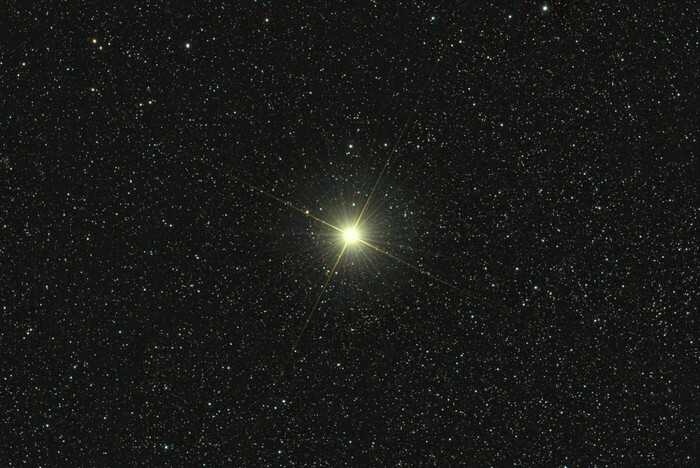 Capella can be seen by the naked eye as a star, but it is actually a star system. 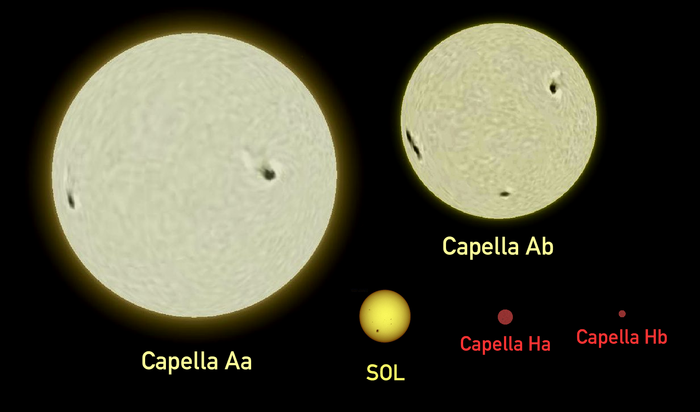 Capella is made up of two pairs of binary stars. 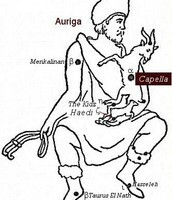 Capella is the eleventh brightest star in the night sky and the third brightest in the northern celestial hemisphere. Capella is latin for small female goat. In Greek mythology, this star represents the goat Amalthea who suckled Zeus. Zeus accidently broke one of the goat’s horns off. This horn was turned into the cornucopia/horn of plenty-can be filled with whatever the owner desires. In 1899, Professor William Wallace Campbell of the Lick Observatory first announced that Capella was a single star system using spectroscopic observation. He noticed that a second spectrum appeared over Capella. Professor Campbell also noticed the color of the star changed from violet and red based on the time of year.